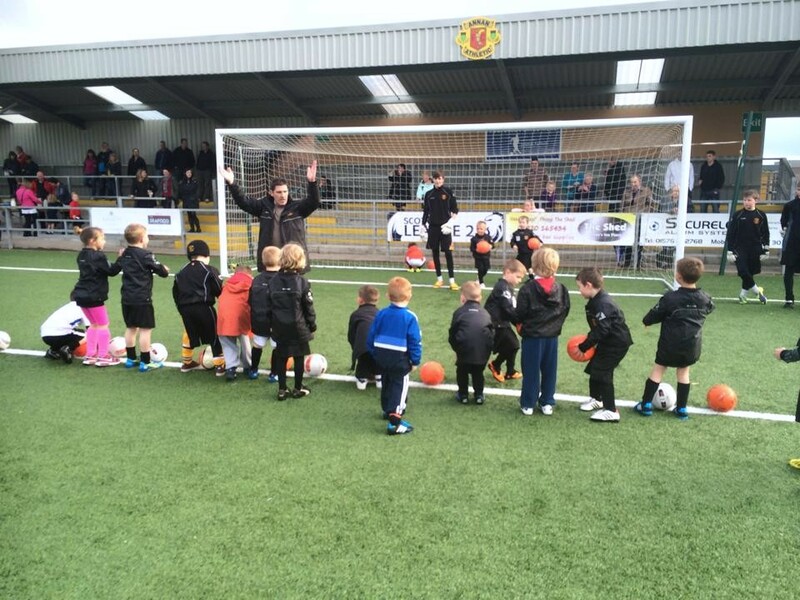 On Monday 12th May over 120 children took part in the Annual Sponsored Penalty Shoot Out at Galabank. A total of 1945 penalties were scored and the grand sum of £1022 was raised for the Community Football funds. The winner of ‘Guess how many penalties were scored’ was Madge Carruthers c/o Lee Patterson of the P7s with a guess of 1945 and the runner-up was Robin Sutherland c/o Andy Sutherland of the U13s with a guess of 1944. The winner and runner-up will receive £75 & £25 respectively. Thank you to all who took part, all who sponsored the children and everyone involved in organising and running the event.